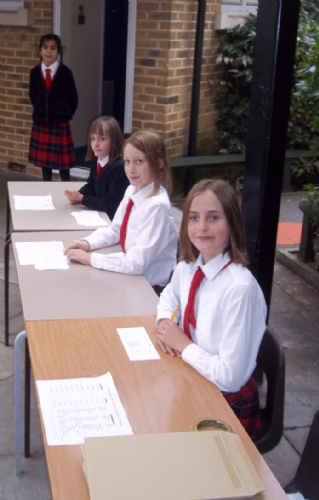 Elections are held within classes to shortlist three boys and three girls. These children then campaign for two weeks until the full elections are held. Have a look at some of the posters that were created this year in our gallery below. The election took place outside of the hall. Each class had an allotted time to attend. 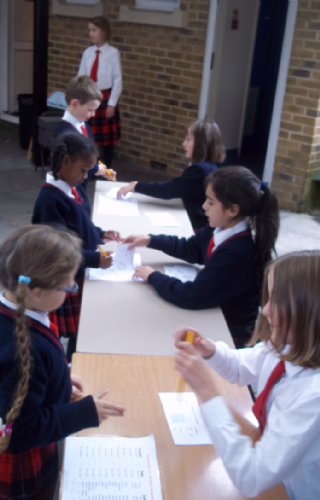 The children were shown the ballot paper for their class and then told what to do to cast their vote. 2) Tick one box showing the boy that you would like to vote for and one box showing the girl receiving your vote. 3) Fold your ballot paper and put it into the box. 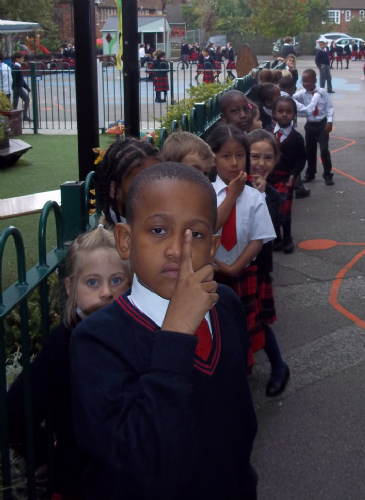 1) You have to line up in silence before and after voting. 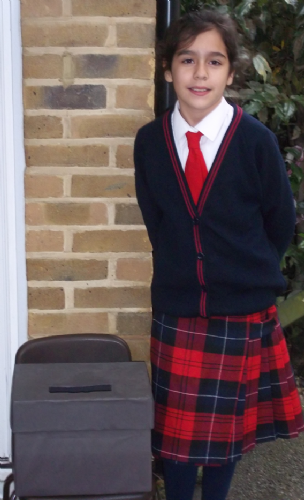 2) You visit one of the helpers on the desk to fill in your ballot paper. 3) Your ballot needs to stay secret so it needs to be folded in half and then put in the ballot box.